Last week 27 people traveled from all over the country, and even across the Atlantic Ocean, to visit the FDR Library’s research room. 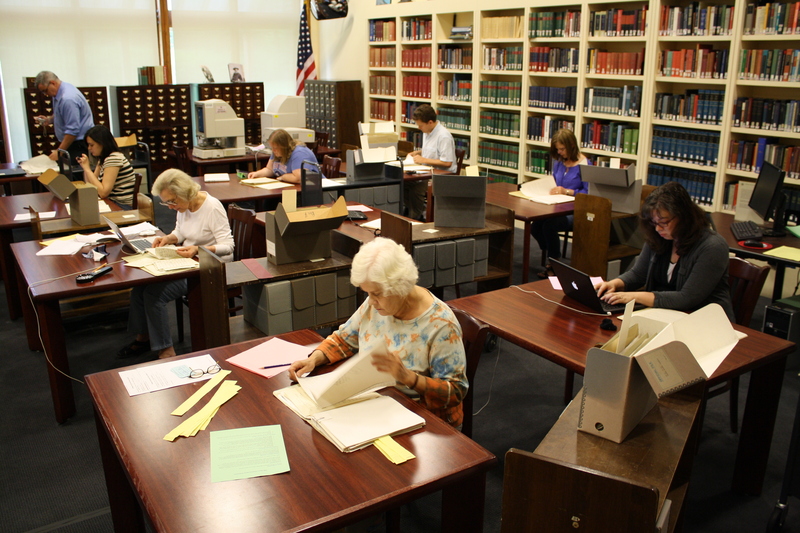 They came to interact with the estimated 17 million pages of primary source materials housed here within nearly 400 separate manuscript collections related to the Great Depression, the New Deal, and World War II. 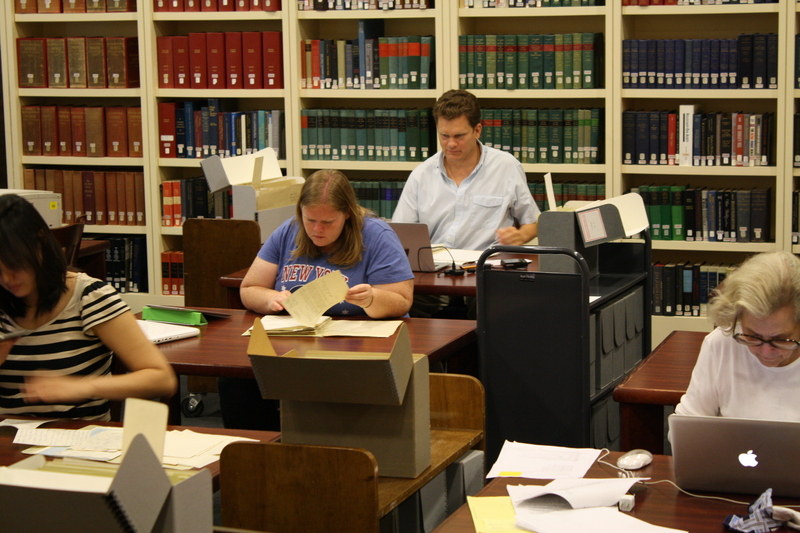 A view of the FDR Library research room on Tuesday, June 26, 2012. FDR strongly believed that the records of government — those created by presidents, civil servants, and citizens alike — should be preserved, organized, and kept open for future generations. In developing this Library, he envisioned an institution both an archives and museum, to become a center for the study of the entire Roosevelt era. I have destroyed practically nothing. As a result, we have a mine for which future historians will curse as well as praise me. It is a mine which will need to have the dross sifted from the gold. […]must wait for that dim, distant period […] when the definitive history of this particular era will come to be written. Today’s generations of researchers are some of the very people FDR sought to reach. Research topics on Tuesday included education policy analysis; a study of the “Clergy Letters” detailing New Deal programs in rural communities; and Harry Hopkins’ wartime correspondence. And this latest addition to the archives of America is dedicated at a moment when government of the people by themselves is being attacked everywhere. It is, therefore, proof—if any proof is needed—that our confidence in the future of democracy has not diminished in this Nation and will not diminish. There are now 13 Presidential Libraries within the National Archives and Records Administration, including one for every U.S. President since FDR.